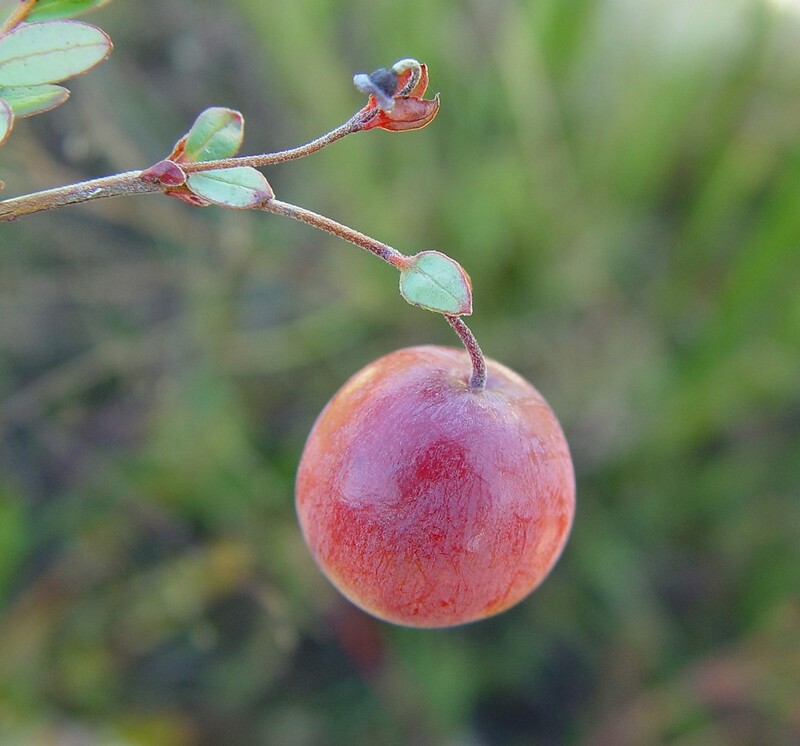 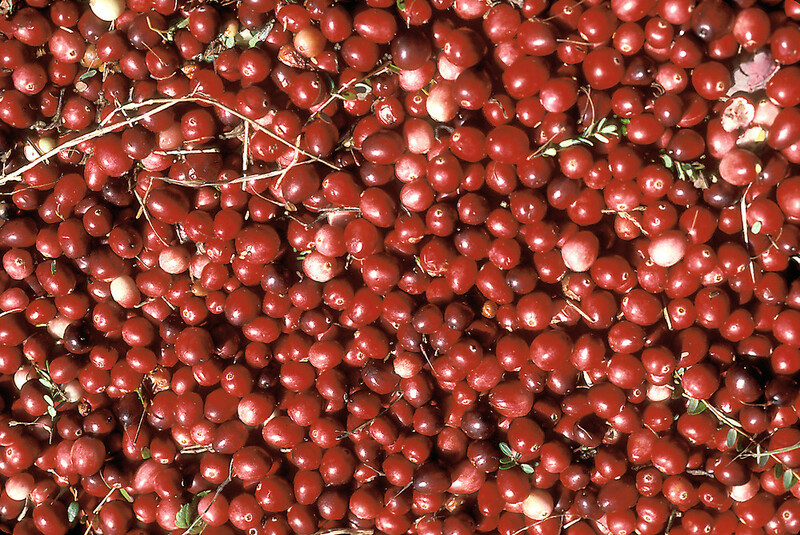 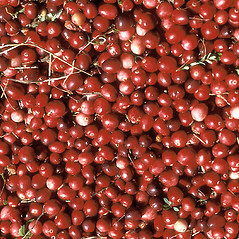 Large cranberry was originally called "craneberry" because the flowers, with four, delicate, reflexed petals and anthers protruding like a beak, loosely resemble the head of a crane. 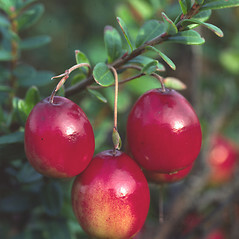 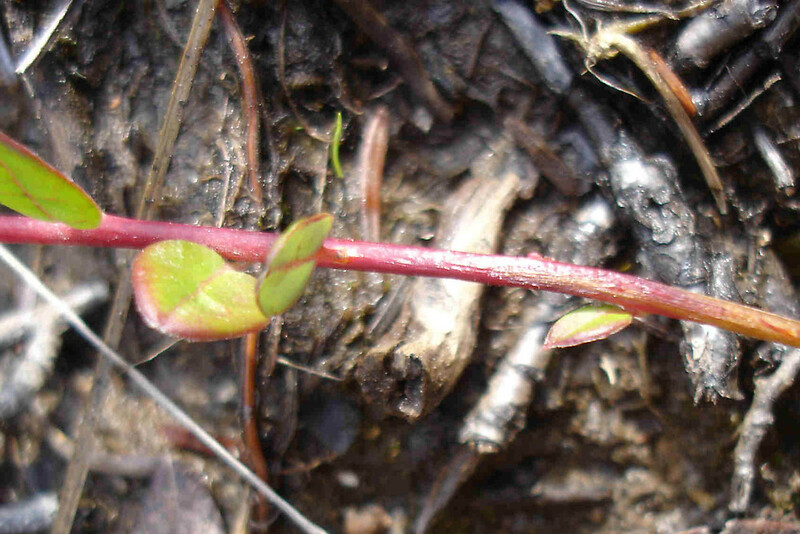 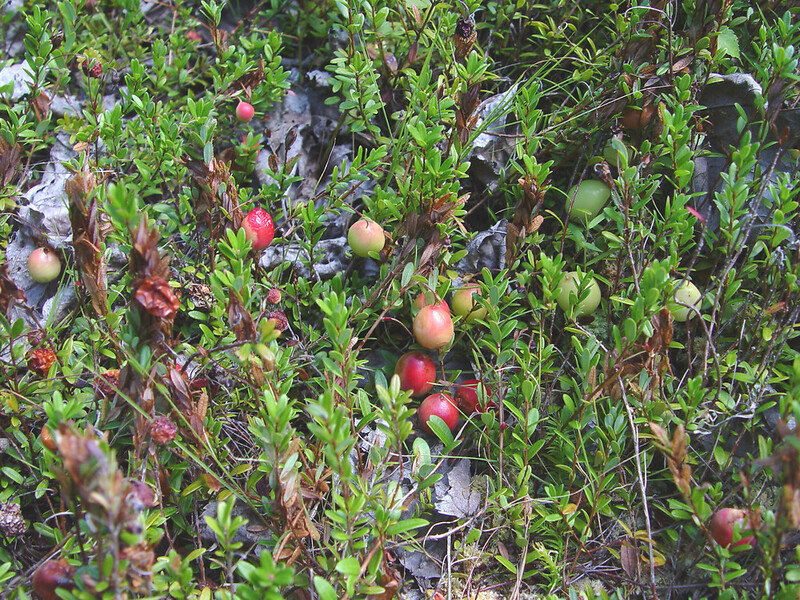 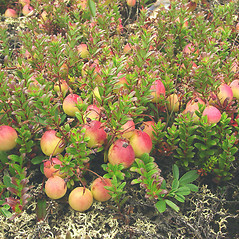 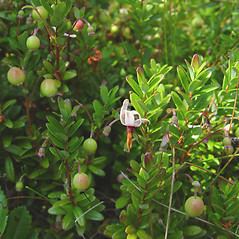 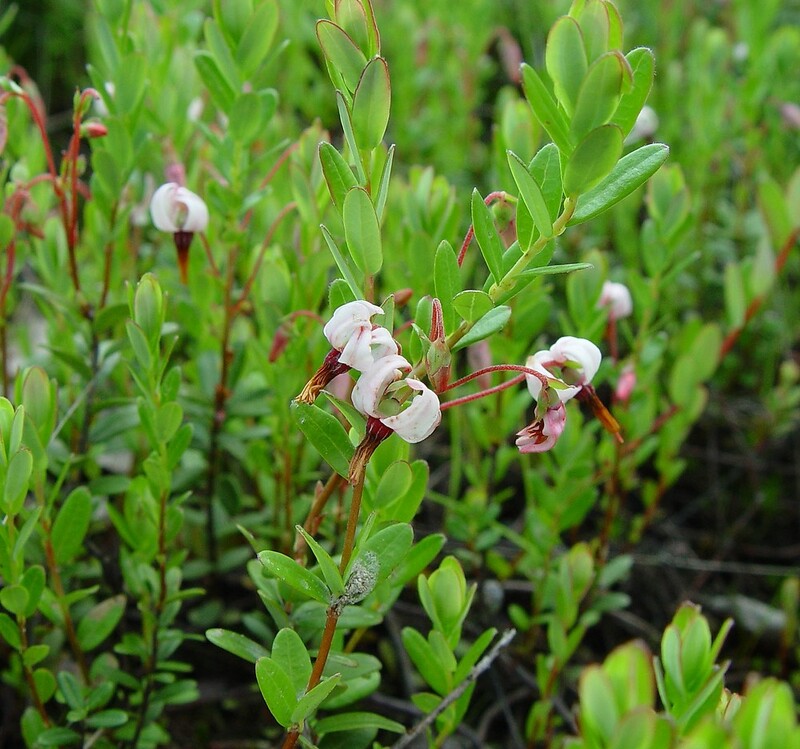 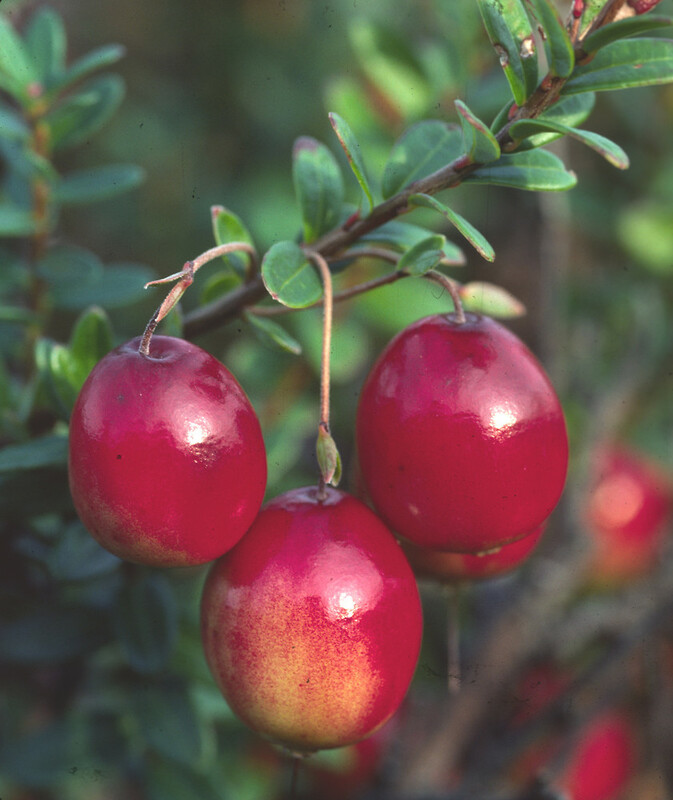 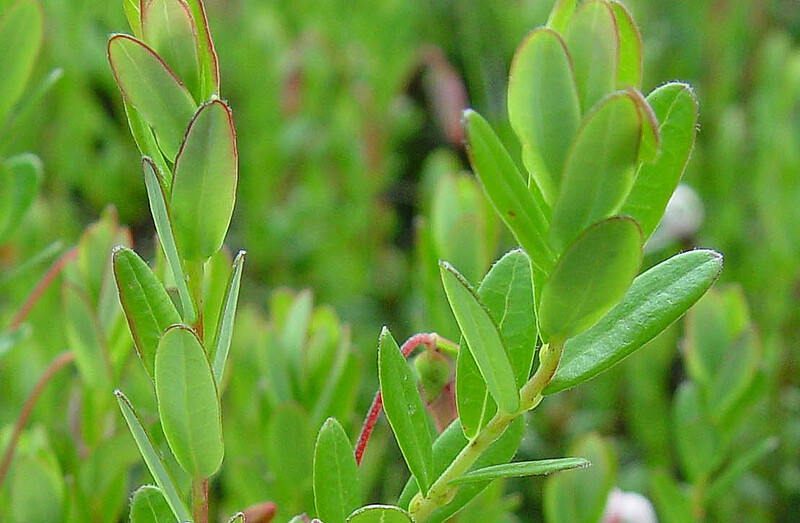 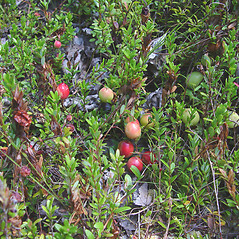 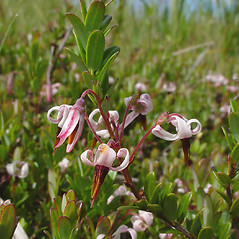 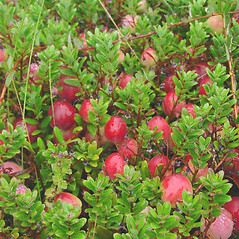 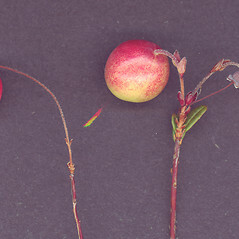 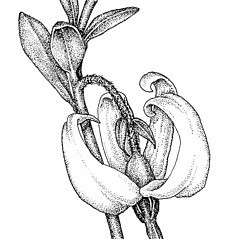 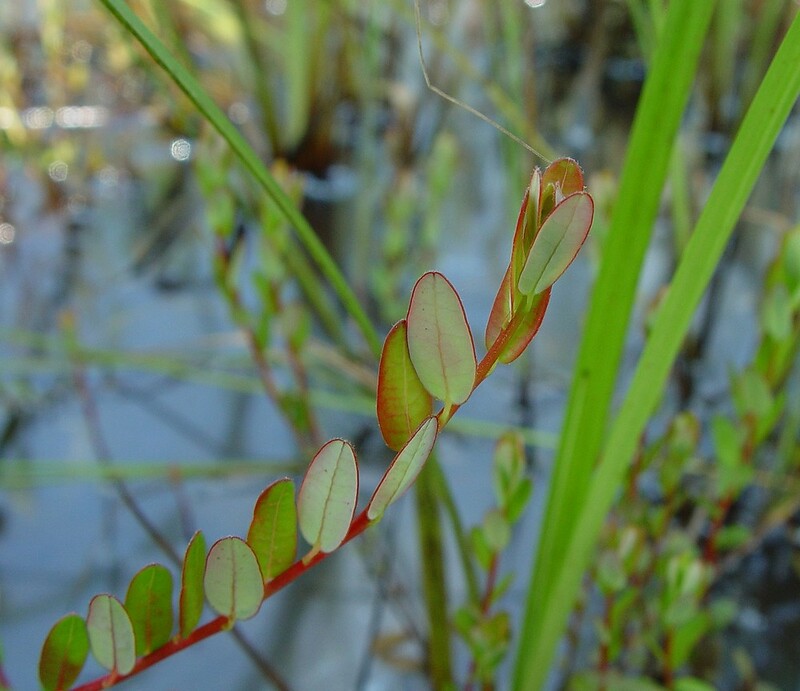 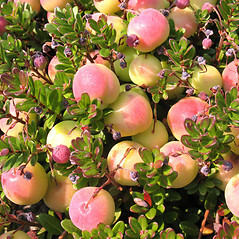 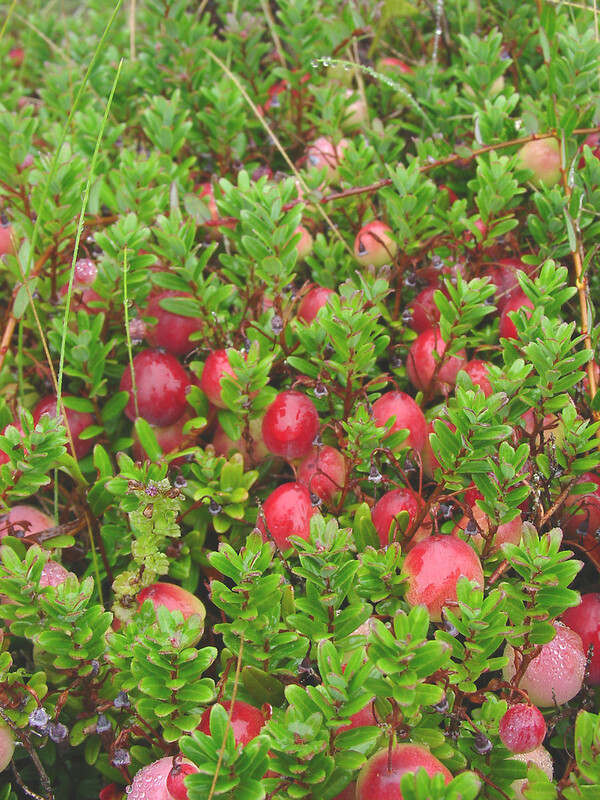 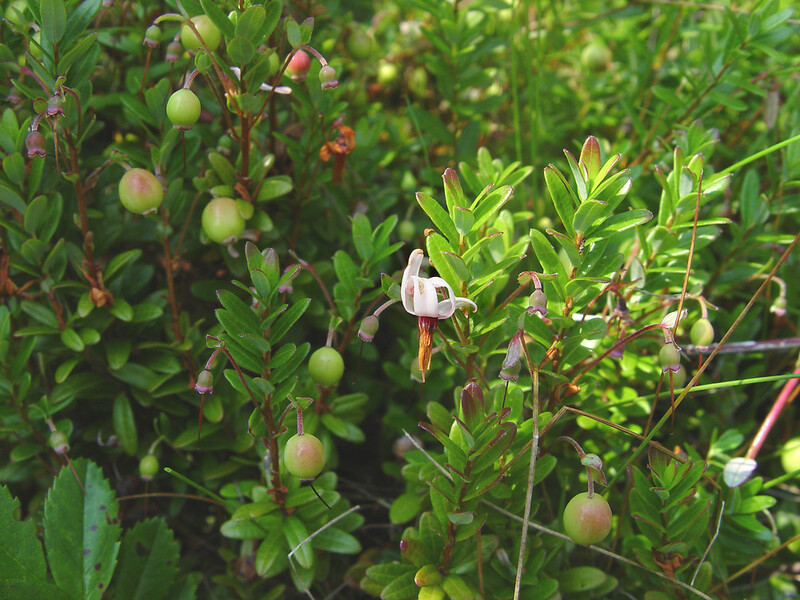 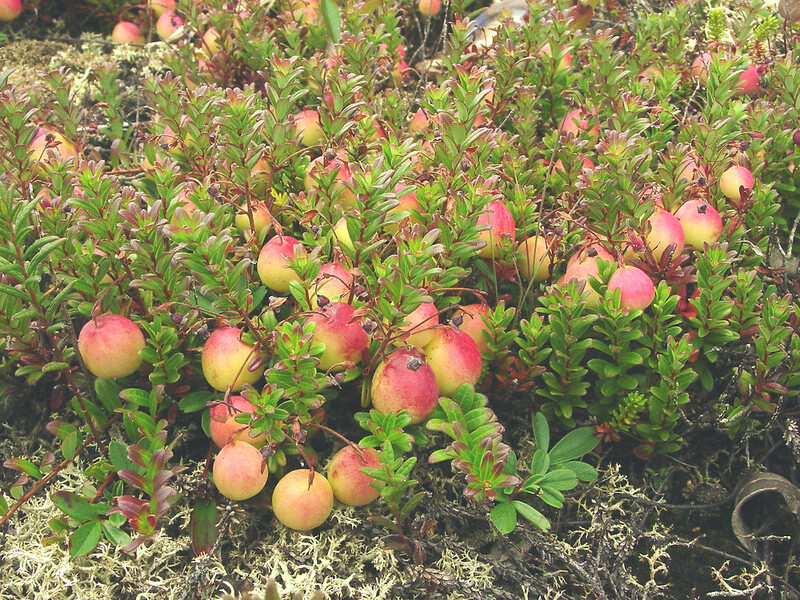 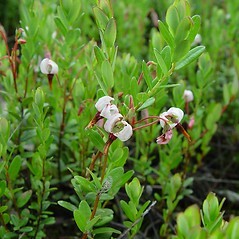 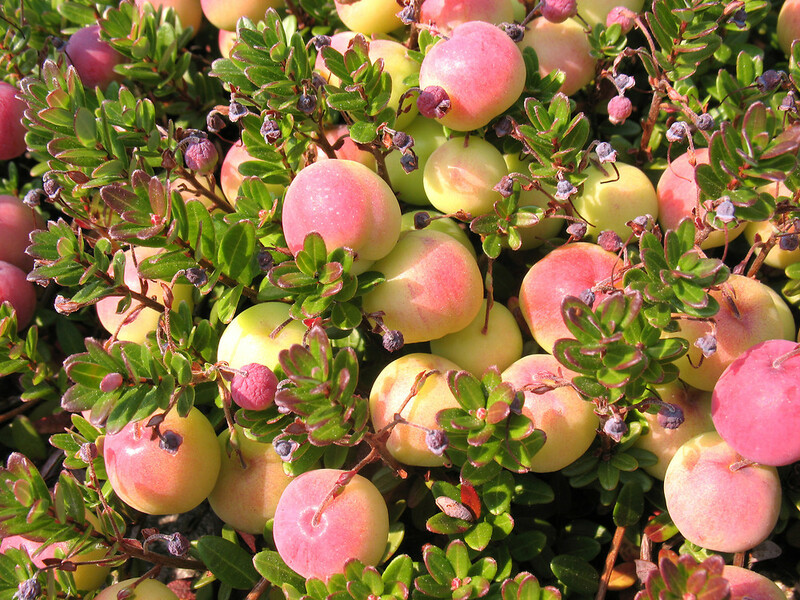 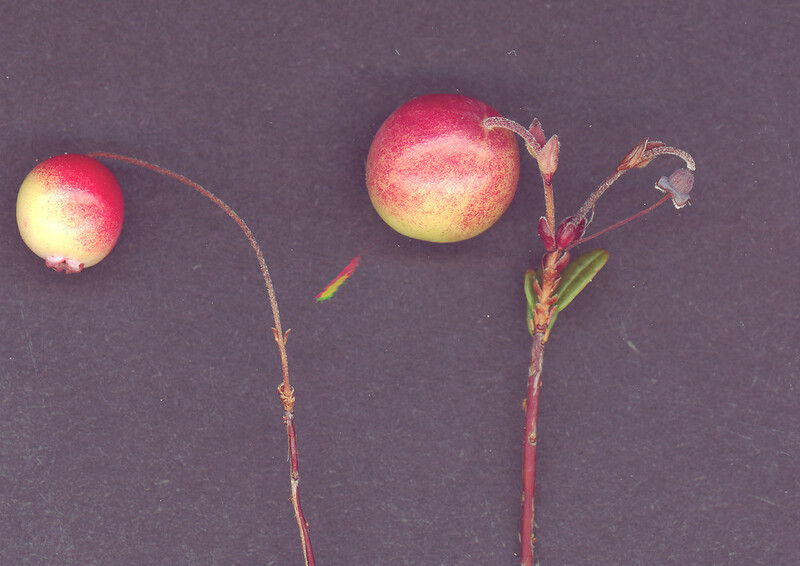 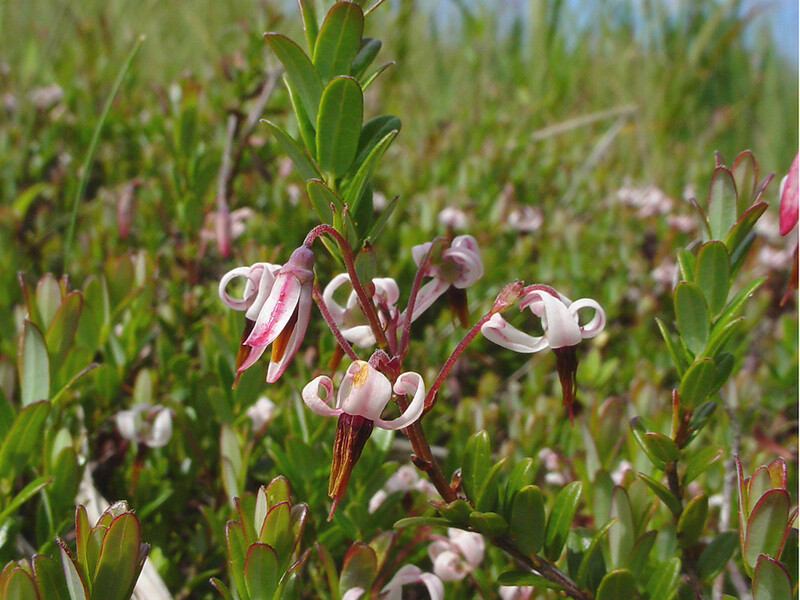 This species is the progenitor of the cultivated cranberry, first brought into production by impounding bogs and barrens of Cape Cod and New Jersey. 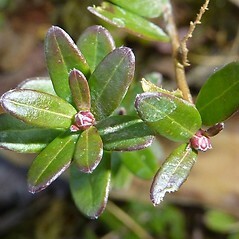 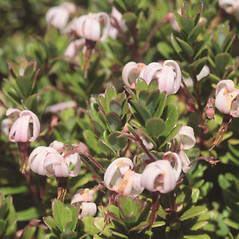 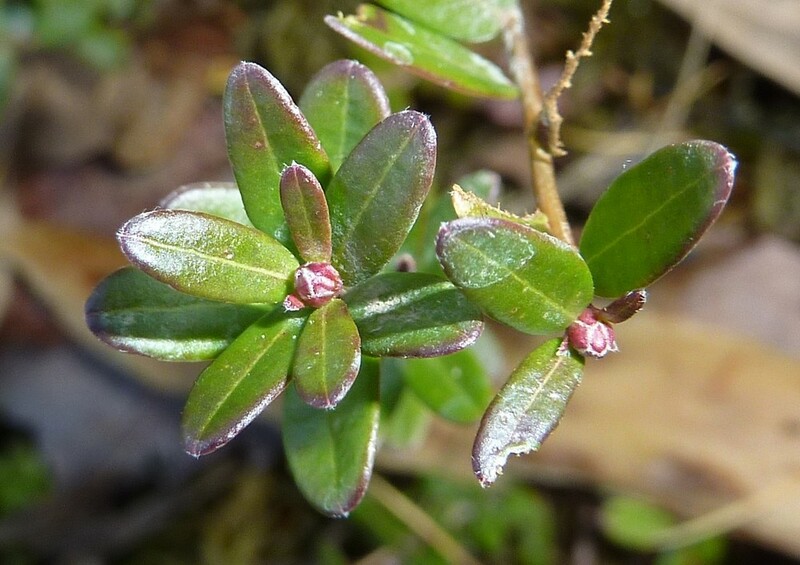 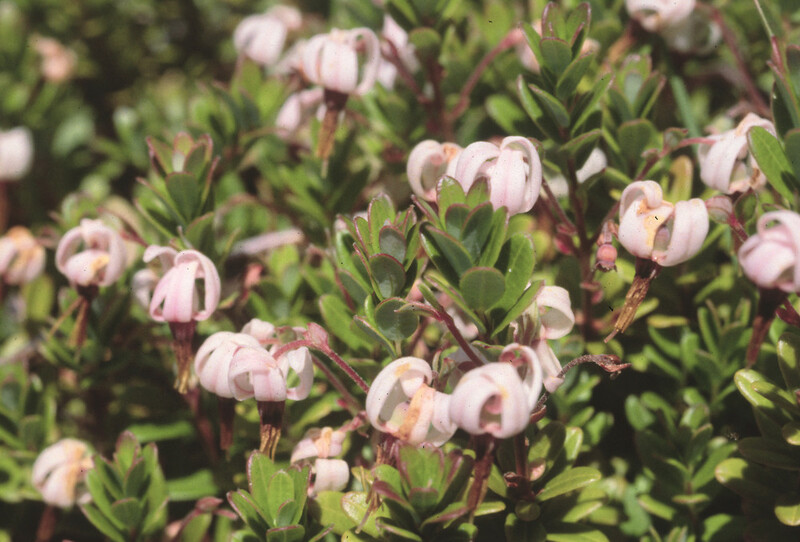 This extensively creeping shrub, with tiny glossy leaves, pink flowers, and bright red berries is an engaging groundcover in wet situations, but it is difficult to transplant. 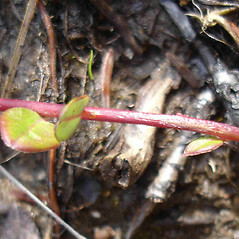 leaf blades pointed at apex and strongly revolute on the margins, flower stalk with red bracteoles 2 mm long or shorter (vs. V. macrocarpon, with leaf blades round at the apex and plane or with slightly revolute margins, flower stalk with green bracteoles 2 mm long or longer). 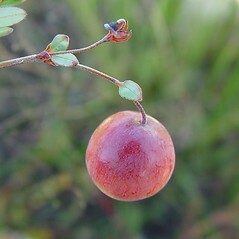 large cranberry. 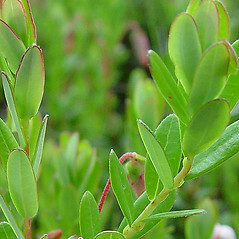 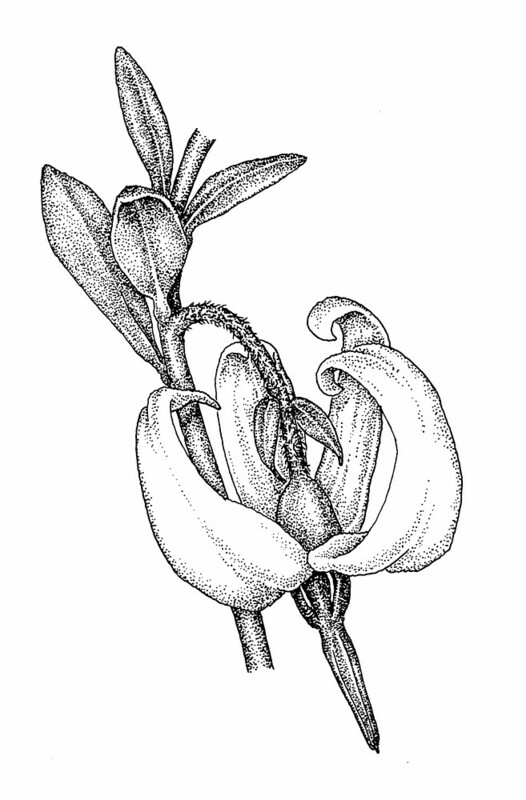 Oxycoccus macrocarpus (Ait.) 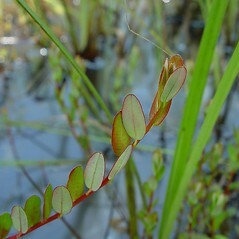 Pursh • CT, MA, ME, NH, RI, VT. Bogs, fens, marshes, peaty lake shores, abandoned borrow pits, sandy roadsides.